Schlotzsky’s®, home of The Original® round toasted sandwich and famous Fresh-from-Scratch® buns, recently signed a franchise agreement for 55 restaurants throughout seven of the former Soviet countries, including Russia, Belarus, Estonia, Kazakhstan, Latvia, Lithuania and Ukraine. The master franchise agreement was awarded to Moscow-based entrepreneur Mehmet Akpinar, who plans to open the first restaurant in Moscow. The remaining locations are expected to open over the next 10 years. Mike Shattuck, President of Focus Brands International, said this was one of the more significant deals the company has ever signed. “This is a huge deal for us – we love expanding the Schlotzsky’s brand with entrepreneurs like Mehmet, who understand the complexities, challenges, and rewards of operating a company within their respective country,” he said. 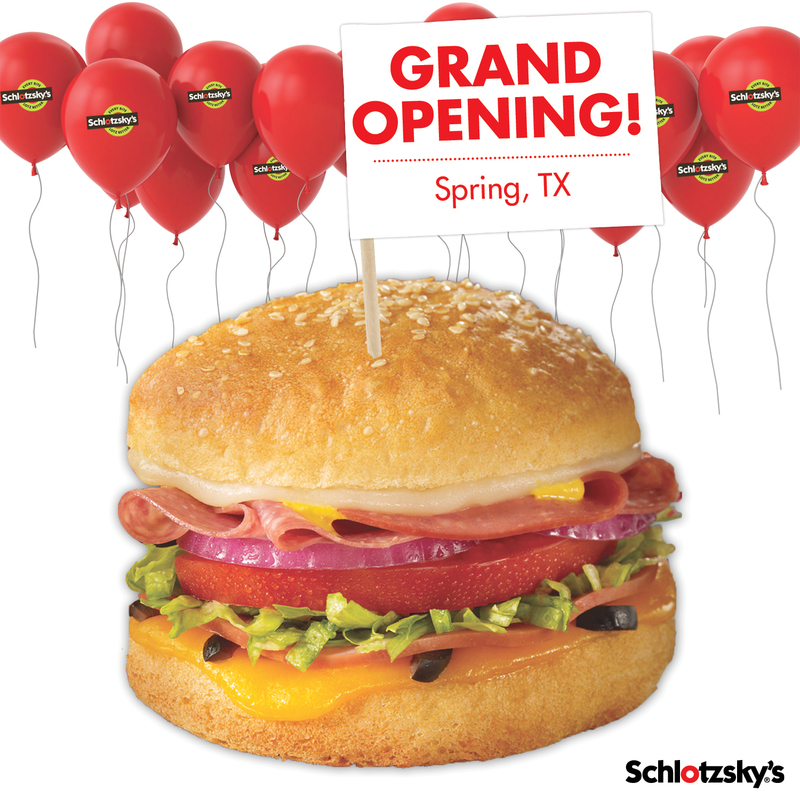 As with domestic growth, further international expansion remains a focal point for Schlotzsky’s in 2013 and beyond. Company plans call for over 30 locations in the next five years. International Schlotzsky’s franchise locations can currently be found in Azerbaijan, Turkey, and South Africa. Schlotzsky’s offers more than 15 different sandwiches on its famous unique round freshly-baked buns, as well as gourmet pizzas made with Fresh-from-Scratch crusts, freshly made-to-order tossed salads, and a variety of soups. In a historic deal with far-reaching impact in the fast-casual segment, Schlotzsky’s®, the home of The Original® round-toasted sandwich and famous Fresh-from-Scratch® buns, announced today it has signed the brand’s largest franchise agreement in more than 40 years. Anchored by its new Lotz Better® model and consistent positive sales, the partnership calls for 170 Schlotzsky’s locations throughout California, including Los Angeles, Riverside, Ventura and San Bernardino counties. Each of the new restaurants will feature a new, contemporary design and an upgraded service model in which crew members hand-deliver food to the tables. In addition, as part of a co-branding deal with Cinnabon® and Carvel®, the locations will include counters offering signature treats from the iconic dessert brands. “The magnitude of this franchise agreement is a testament to the growing strength of our brand in the marketplace,” said Kelly Roddy, president of Schlotzsky’s. “Between this agreement in California and multiple others we’ve signed in the past year alone, the momentum is incredible. On top of the obvious benefits the expansion is having on our brand, it’s also creating job growth in communities around the country,” noting that the new locations in Southern California will create nearly 7,000 jobs in the next five years. After successfully completing its initiative to reimage its 350-plus unit franchise system, executives of Schlotzsky’s are focusing on growing in markets where there is a demand for a high-quality franchise brand. In this newest deal, Moe Vazin is responsible for opening the 170 locations throughout the market. Prior to joining the Schlotzsky’s family, Vazin experienced much success with his extensive management experience, accumulating a portfolio of supermarkets, manufacturing and distribution in the retail industry. Roddy added that Vazin perfectly fits the profile for a Schlotzsky’s multi-unit franchisee. “He’s a top-notch operator, and we’re confident he will not only uphold our brand standards and reputation, but knock it out of the park by making us the top fast-casual destination in Southern California,” he said. This partnership comes on the heels of Schlotzsky’s signing a multi-unit franchise agreement in May 2012 with regional developers John Fehmer and Anastasia Rusakov to open 25 new Schlotzsky’s locations throughout Orange County, Calif.
With more than 350 locations worldwide, Schlotzsky’s continues its growth momentum by aggressively targeting markets in Texas and untapped markets around the country for multi-unit developers. These markets include: Atlanta, Charlotte, Denver, Kansas City, Miami, Nashville, Raleigh, St. Louis and Tampa, as well as other underdeveloped markets through the United States. Roddy added that, ideally, Schlotzsky’s plans to have upwards of 700 locations by 2016. For more information regarding the Schlotzsky’s franchise opportunity, visit http://www.schlotzskysfranchising.com/or call 800-846-BUNS.